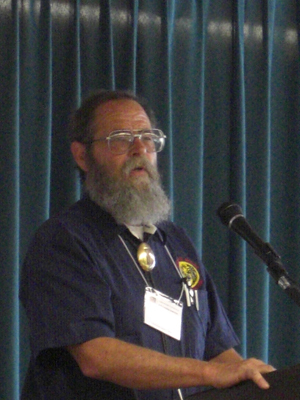 This is my review of the Columbia Willamette Faceter’s Guild 2009 Symposium. 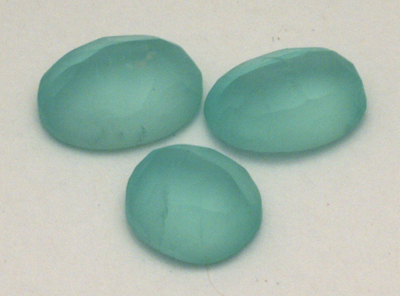 One June 26th faceters and gem aficionados from around the Northwest and around the world gathered in Portland, Oregon, for the Columbia Willamette Faceters’ Guild Faceting Conference. 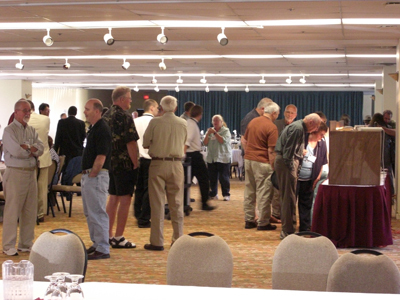 There were over a hundred people in attendance, and some of the biggest names in faceting were featured. Bob Long kicked the conference off with a talk about the history of design, giving details about how they did it before to GemCad. This was a great talk that really makes a person appreciate what the old masters did to make our slackingly-easy enjoyment of modern faceting possible. 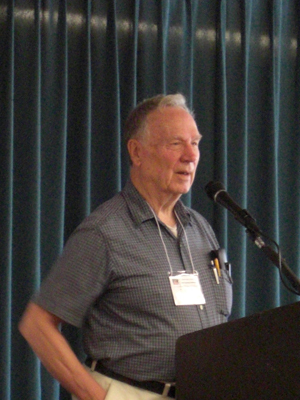 Bob showed-off pages of diagrams and lengthy equations, and related that it used to take HOURS with a scientific calculator just to do all the calculations for changing crown angles. 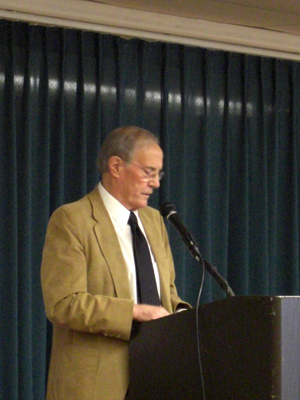 He was really engaging and sharp. 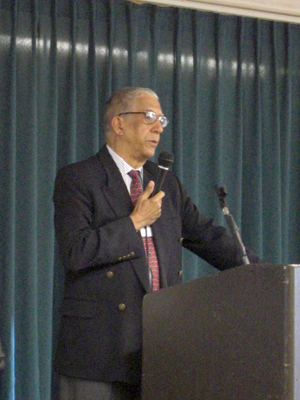 On day two, Bob presented again – and challenged the audience with design problems for the future. 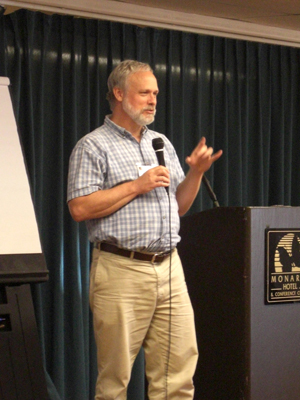 Terry Clark, from Dust Devil Mines, presented information on the geology and chemistry of Oregon Sunstone, including how varying concentrations of the coloring agent (copper) creates the varying colors and presence of schiller. He talked about the presence of trace amounts of gold in the Plush material. 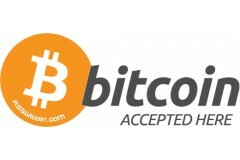 He outlined a new price structure for fee-digging. 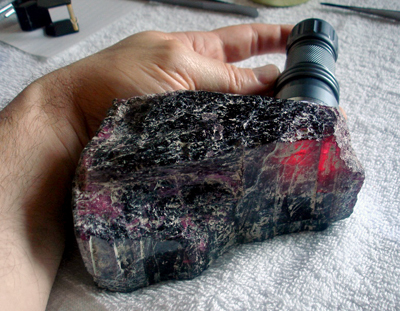 I did a bit about working Sunstone, including my tricks for color orientation and managing schiller, and some material on polishing. 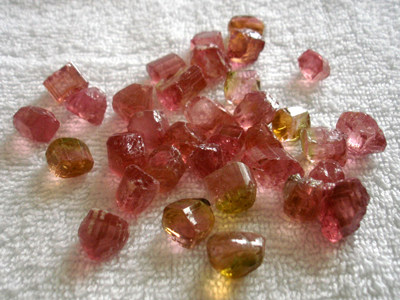 On day two, I presented on buying rough through the mail; glass-filled Ruby; and on the customer’s perception of value. Some of these presentations are now available in the Faceting Academy Video Store. 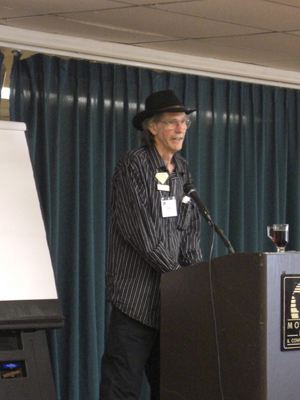 Robert Strickland was the main presenter at this year’s conference, and his material was all very good. He did an hour on GemCad basics, and later an hour on “Dirty Tricks”, which I found really useful. He generously did a couple of hours on Saturday evening, where he gave individual assistance to people with their specific questions and issues with the software. Throughout, he was jovial, personable, accessible – and fun. I regret that I didn’t get more in-person time with him. On day two, Robert presented a bit called “cutting a free-form Barion on the fly”, which I thought was really great – and which I’m doing this week – and a piece on designing OMNI preform with GemCad. Roy James did a presentation about diamond abrasives, and had a number of fascinating micrographs and a good bit of information about the history, composition, manufacture, and pricing structures of this vital part of our business. 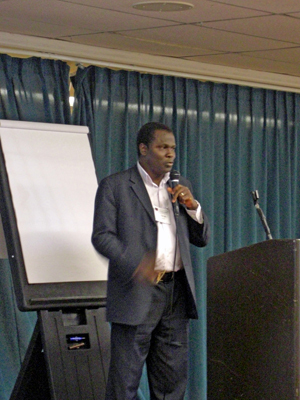 My friends Ade and Niran from Nigeria did a great presentation about the mining industry and sourcing of gems from that country – and the exciting prospects for the futures of the (barely-touched) gem deposits there. They also brought a wonderful selection of beautiful material (photos farther down this page). There was some time for socializing – and visiting the booths of suppliers and rough dealers. 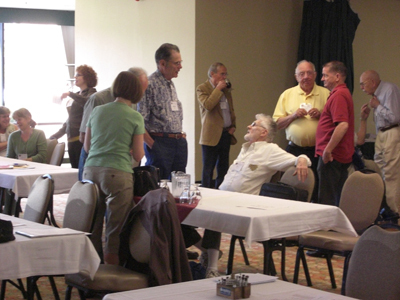 In this photo: Burt Grytness, Ed Romack, and Charlie Moon – some of the great personalities I was privileged to visit with (wish I’d had more time with them all) at this conference. 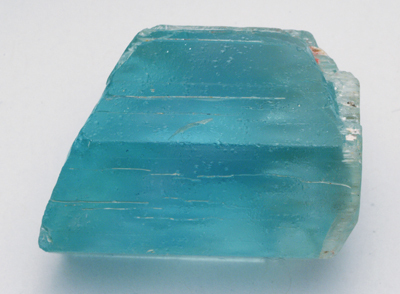 On Sunday, Burt Grytness told more great stories from his more than thirty years in the international gem business, of his travels to Brazil – and of the current market dearth of quality faceting rough. 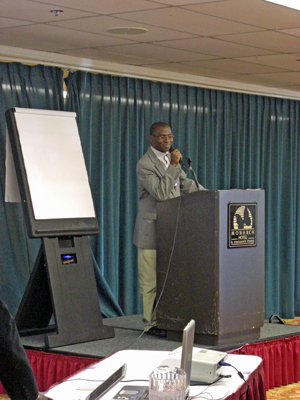 This presentation was extremely valuable in terms of business management and strategy, and of fiscal planning. It was a real pleasure to see Burt and hear his experienced voice. 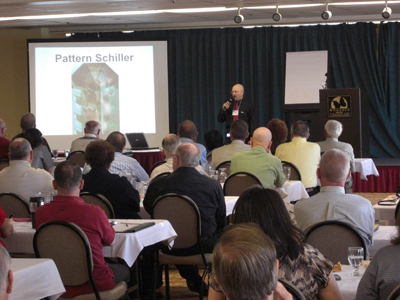 John Franke gave a great presentation on synthetic rough – and the changing market for that material. He mentioned the ways in which world metals and energy markets, and other market forces influence the cost of synthetic rough materials. 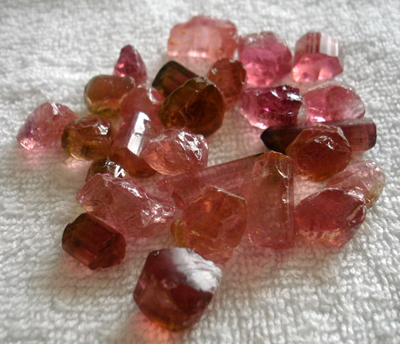 The understanding of market pressures up and down the lines of supply is a vital aspect of faceting, whether one is a hobbyist or a professional. And, I found this a very useful presentation from a very savvy senior member of the craft. Zane Hoffman of Polymetric was on hand with a Scintillator and an OMF machine. Roy James had his diamond abrasive products. John Franke from the Facette Shoppe had laps, polishes, and other supplies along with a huge selection of synthetic gem materials. Burt Grytness had a wonderful collection of natural Brazilian rough material. 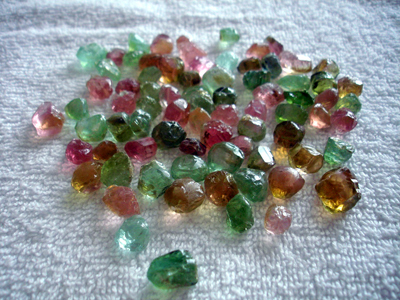 Ademola Gems brought loads of beautiful material all the way from Nigeria. 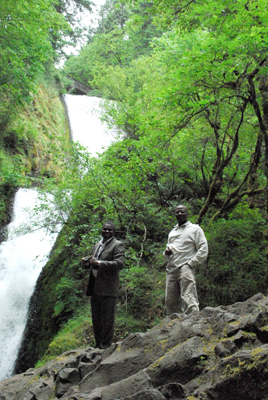 Despite the busy schedule, we managed to find a little time for sightseeing – here Ade and Niran at Bridal Veil Falls outside of Portland. Following are some photos of the rough materials we saw (and some that we bought) at the conference. any facet-grade areas in this monster. 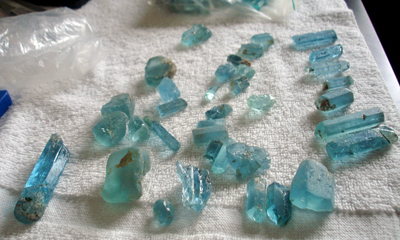 Another parcel of nice Nigerian Aqua. 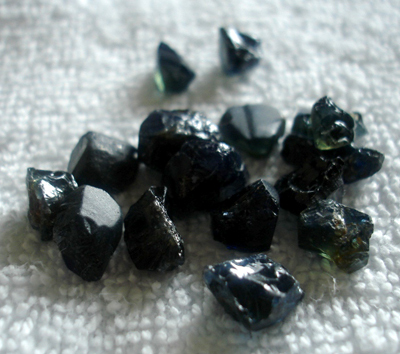 There was a small parcel of uncooked Sapphire from Nigeria. 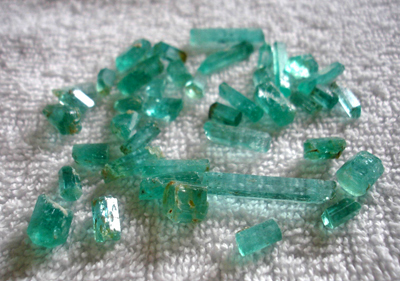 Niran and Ade had a nice selection of Emerald on offer. 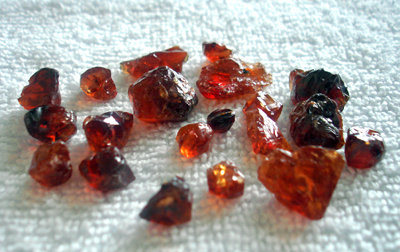 A small, but really CLEAN parcel of Spessartite garnet. 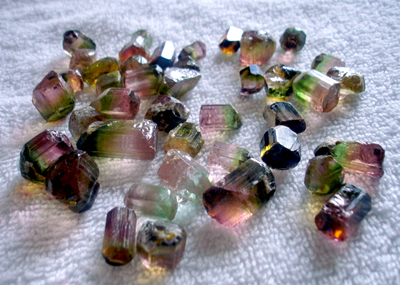 The parcel of Bicolor Tourmaline was breathtaking – all with 100% clarity. This mixed-color parcel was sweet, too. 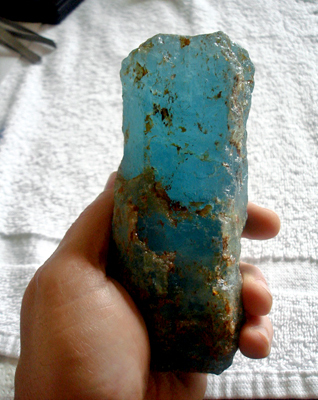 Heress a wonderful carving Aqua from Nigeria! 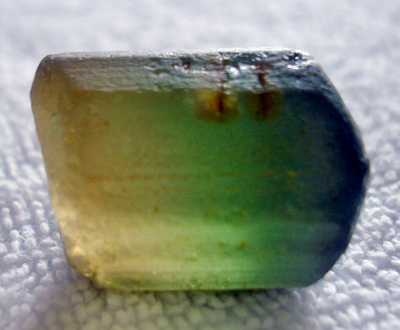 This was sweet: a 25-gram, perfectly clean bicolor Tourmaline. 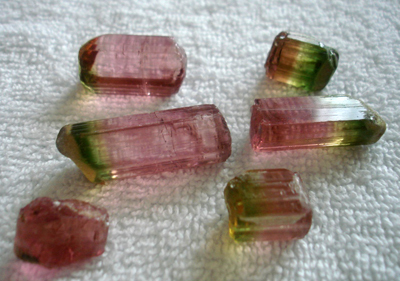 Tourmaline preforms from Burt Grytness. 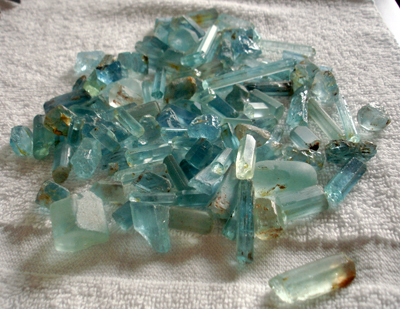 Brazilian Aquamarine I also picked up from Burt. The Columbia Willamette Guild did an incredible job of organizing and hosting the Conference. It was a class act from beginning to end, with every detail handled beautifully. Terry and Hayden Olson deserve congratulations and high praise for managing the thing. Now, all we have to do is convince them to do it again in the near future!